Dr. Shirely Pang, Rheumatology Physician for St. Jude Heritage Medical Group, who treats those living with osteoarthritis and has been prescribing a non-invasive, non-drug treatment option known as the BioniCare System joins eHealth Radio and the Health News, Health Care and Pain Management Channels. How do you describe the BioniCare System? How long have you been prescribing the BioniCare System? What type of patients have been a fit for the BioniCare System? 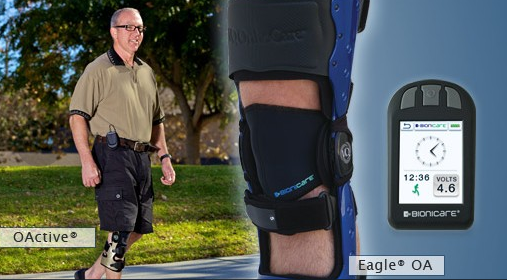 What happens when you have a patient that needs a knee replacement or appears to, would you offer the Bionicare System as an option or how do you handle that? How effective has the device been for the patients you have prescribed it to? How long before patients see improvement in the function of their knee? How does BioniCare compare to other treatments for osteoarthritis? Dr. Pang received training and attended Medical school at University of California, Los Angeles. Her internship and residency was completed at Harbor - UCLA and attended a fellowship program at University of California, San Francisco. She has a strong interest in taking care of patients with joint problems, in particular Osteoarthritis, which is the most common type of arthritis. She believes that although there are many interesting drugs that are being looked at, learning more about non-narcotic and non-invasive treatments is an essential part of medicine. For many years Dr. Pang was a competitive figure skater so she knows the damage that physical activities can have on ones joints. Now, Dr. Pang keeps active by taking walks and hikes because she knows the importance of movement for her joints. Dr. Pang has a true passion for her patients. She chose to practice Rheumatology so she could help individuals with wide range of disabilities and help them get back to a healthy way of life. For Dr. Pang, it is very rewarding to be able to offer the latest research and advancements, and improve patients’ health and quality of life.